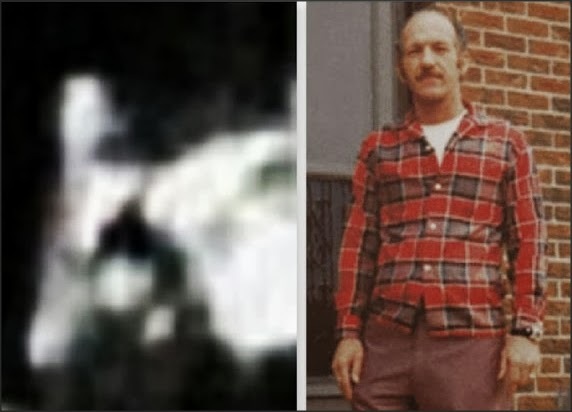 I'll just point out that the image on the left is a blurry frame from the Wiegman film showing Lovelady in the doorway ( left side of the pic). It's shot from a moving car and in terms of the detail it contains is in no way comparable to the Altgens photo. Ralph knows this but thinks he's being smart, when actually the fact that he made this request proves two things. 1. Ralph is a moron. 2. Ralph is a moron. I realize that technically that's only one thing but it's such an important one I thought it was worth mentioning twice.